Are you interested in assisting in archaeological field surveys and laboratory work? Do you want to learn more about the prehistoric cultural resources of our region? Would you like to be a member of the Colorado Desert Archaeological society? These interesting opportunities and many more are available to “citizen scientists” who want to play an active role in promoting, documents and stewarding the cultural resources of Anza-Borrego, Palomar Mountain and Rancho Cuyamaca State Parks. Robin Connors, California State Park District Archaeologist, is conducting a 2018 Fall archaeology training class. Introduction to archaeology and instruction in archaeology survey and excavation techniques will be taught. Additionally students will learn about Site Stewardship. Upon completion of the course graduates will be eligible to participate in the field and in the Begole Archaeological Research Lab. 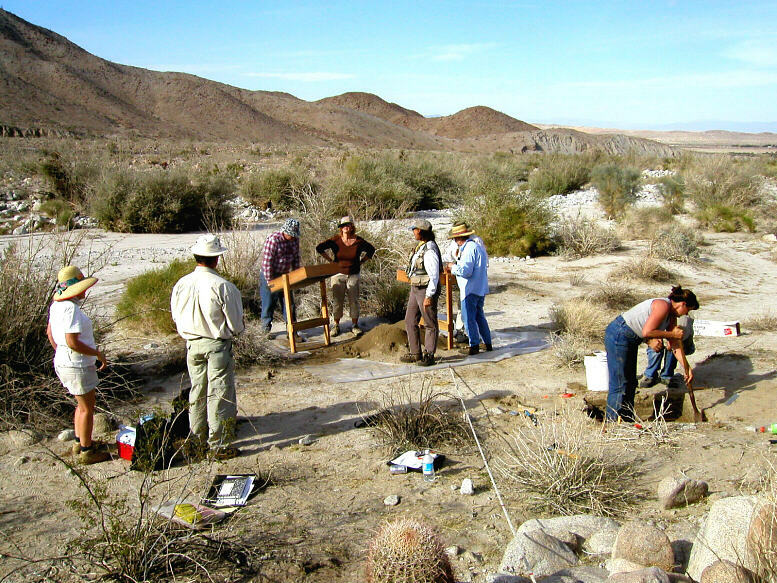 Successful completion of the class qualifies trainees for membership in the Colorado Desert Archaeology Society and supports the work of preserving, documenting and protecting the cultural resources in the 600,000 plus acres of Anza-Borrego Desert State Park.